While there is no cure, asthma can be managed. But it is essential that patients learn about their condition and understand how to take their medication, develop healthy habits and avoid allergens and other potential triggers. Visiting Nurse Association of Ohio can help. Physicians often order home visits for asthma patients who are newly diagnosed, following hospitalizations for respiratory distress or when their conditions are uncontrolled, said Michelle Kerr, chief clinical officer for VNA of Ohio. VNA of Ohio home healthcare nurses instruct patients how to properly use their medication and devices, including inhalers and oxygen equipment. They help patients and their families develop strategies for preventing attacks. They also teach them how to recognize early signs of exacerbation so they can notify someone right away and get treatment at home to avoid a trip to the hospital, Kerr said. 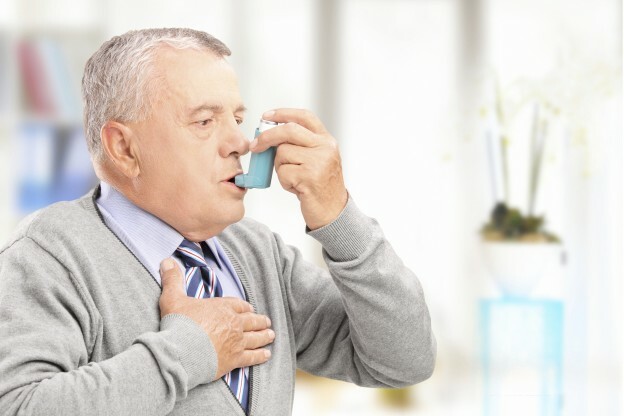 Because allergens and other environmental triggers are a primary cause of asthma attacks, it is valuable for asthma patients to be evaluated in their homes. Through careful assessment of the patients and their living environments, VNA of Ohio nurses often can help identify triggers that patients may not realize are aggravating their conditions. Common asthma triggers include allergens, such as smoke, dust mites, pet dander, mold and pollen. But asthma attacks can come on as the result of respiratory infections, exercise, and even panic attacks, Kerr said. Stay indoors with the windows closed when the pollen count is high. Vacuum and dust a few times each week. Wear a mask when it is necessary to be in a crowd during cold and flu season. Make masks available at home for visitors who may be ill.
Use saline nasal spray to cleanse allergens from nasal passages. For asthma patients in need of more assistance, VNA of Ohio offers private-duty homecare services. Home health aides are available to help with mobility and transfers, personal care tasks and light housekeeping, including the vacuuming and dusting vital to keeping allergens at bay.